Planting raspberries is a great way to have your favorite fruit around whenever you want. Even if you think you have a black thumb you'll be surprised by how easy it is to grow raspberries. You can pick them straight off the plant to eat during the ripe season and easily preserve the extra fruit to be used throughout the year. 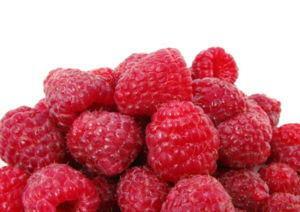 Raspberries are grown in hardy to zone 2 areas. Raspberry plants are classified as either summer bearing or ever bearing. As the name suggest, summer bearing raspberries are ripe during July. These plants are a little bit more difficult to grow than the other variety. Ever bearing raspberry plants, on the other hand, aren't actually ever-bearing. They have ripe fruit between August and October, depending on where you live. You also have a choice of varieties of raspberry colors. While red raspberries are definitely the most well known, there are also black raspberries and yellow raspberries available. They each have their own unique flavor but the growing guidelines are basically the same. Yellow raspberries aren't available in stores and they are sweeter than the other varieties. They are also largely ignored by birds, making them a good choice for a first time grower. If you are planting black and red raspberries, keep the plants at least 300 feet apart. The black raspberry plant is more susceptible to disease and the red raspberry plants can actually infect the blacks, even though the reds are healthy. Planting raspberries in the right season for your area is the best bet. Plant in the early spring for zones 5 and more northern regions. Planting in zone 6 and southern regions should be done in fall or late winter. Purchase raspberry plants from a local nursery or reputable mail order service to transplant them into your yard. Pick a fertilized and well-drained area in your yard. Make sure the soil is moist and prepare it with plenty of compost. The spot should get full sun for most of the day to have the best success, but don't worry if your only spot is in partial shade. Plants in partial shade will still grow well. If you have a vegetable garden, keep your raspberry plants far away from areas where you have grown eggplants, potatoes, strawberries and tomatoes in the past five years. Verticillium is a fungi that propagates around these plants and can be harmful to your raspberry plants. Your raspberry plants should be about two feet apart. If you have more than one row, plant the rows six feet apart. Dig shallow holes for each of the plants and mix in compost as you go. Make sure the hole is clear of debris and roots from grass or other plants. Raspberry plants have shallow roots so you shouldn't dig your holes deeper than four to six inches. Cover the roots with at least three inches of soil and mulch. Use thick organic mulch that will retain water to release to the roots of the plants. After planting, cut back the plant to about six inches above the ground for red and yellow raspberries and down to ground level for black raspberries. After planting raspberries, you need to handle them with some tender care. Make sure to keep the soil moist around the base of the plant. You can use a drip irrigation system during the summer to avoid getting the leaves, flowers and fruit wet. Raspberry plants require an inch or two of water per week. Keep the area free of weeds and remove any diseased looking branches or leaves.